Ararira Springs Primary – Te Puna o Ararira is now open for enrolment. You can contact Trine in the office or start the process by completing our online enrolment form. 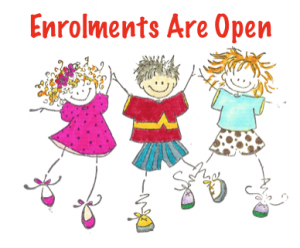 Ararira Springs Primary – Te Puna o Ararira is now open for enrolments. If you are in our zone we would love to hear from you. Information about children coming to school in 2019 greatly helps our planning so please complete the form to start the process today. Alternatively, you can contact Trine and make a time to pop in and complete a hard copy. We will need copies of your birth certificate or passport, proof of address and your child’s immunisation certificate. Time spent with the Principal and leadership team. Information for starting school in 2019. So, why are you waiting? Enrol today, join us on the journey!